The SW4000™ Rider Sweeper provides high productivity and reliable cleaning performance to attack tough sweeping applications. Designed with a safe and efficient hydraulic high dump, the SW4000 delivers exceptional productivity. Operator intuitive front wheel steering and front wheel drive offer superior maneuverability in tight corners or narrow aisles. 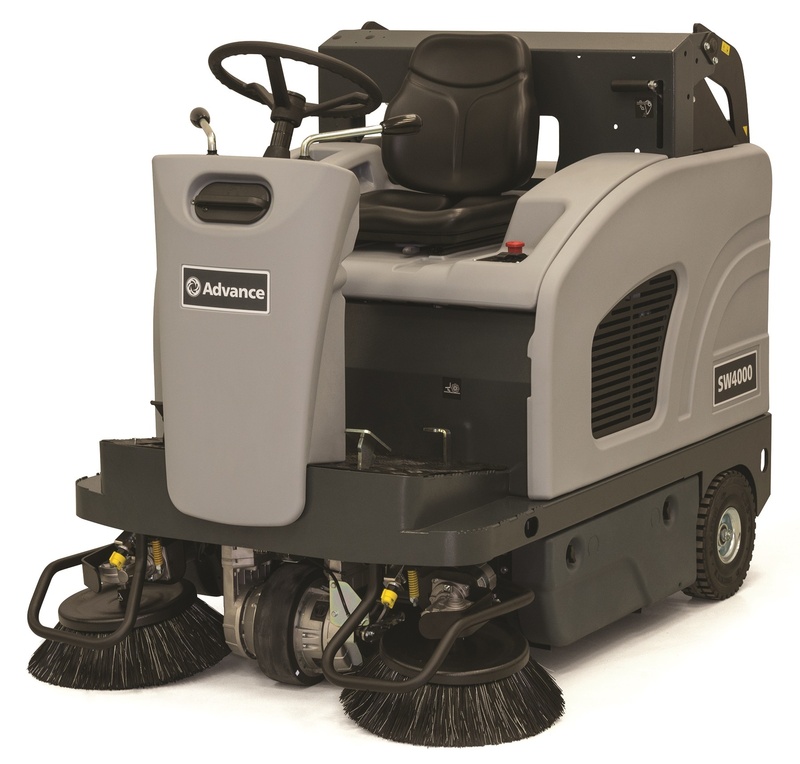 From warehouse and distribution centers to outdoor parking lots and lumber yards, the SW4000 ensures a professionally swept finish for diverse indoor and outdoor applications.